It's more likely an earthquake will hit the Northwest than a nuclear ballistic missile launched by North Korea. On Jan. 13, hundreds of thousands of people in Hawaii got a rude wake-up call – for many of them, quite literally – as at 8:07 a.m., local time, smartphones across the state blared an emergency alert that (erroneously) warned of an incoming ballistic missile. Many in Hawaii, including state emergency management officials, are quite understandably on edge. Hawaii is believed to be within range of North Korea's most advanced intercontinental ballistic missiles. The rogue state has been working hard — ignoring threats and bluster from the Trump administration, international sanctions, and reprimands from even its closest foreign partner, China — at miniaturizing nuclear warheads to fit atop its long-range weaponry. Tensions between the United States and North Korea might be at their worst since the Korean War, with President Donald Trump and North Korean leader Kim Jong Un trading crude insults and warnings of nuclear holocaust. Mercifully, the alert in Hawaii was sent in error — a false alarm. But here on the West Coast as well, we have reason to worry. No one wants to see the unimaginable horror of a nuclear bombardment anywhere, but by dint of geography, the West Coast is a more realistic target for North Korea to attack than anywhere else on the mainland. 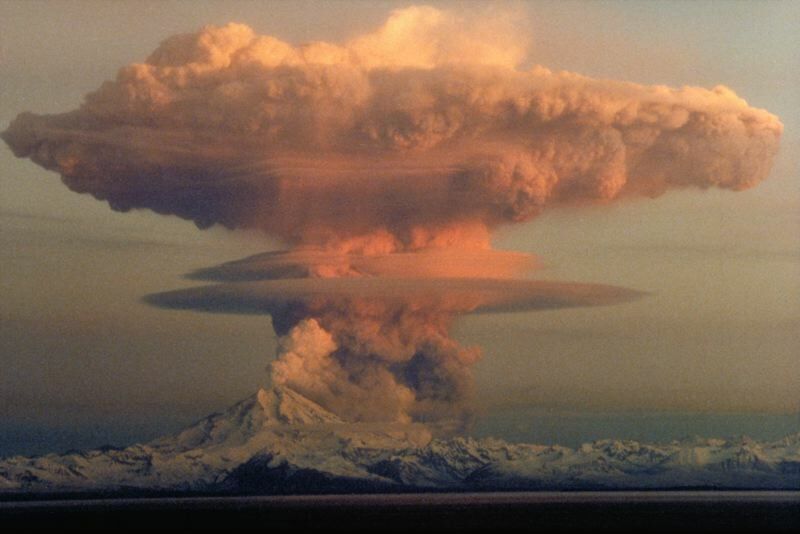 If that's not cheerful enough for you, consider this: While the chances of nuclear war may be higher now than at any point since the collapse of the Soviet Union, the chances of a major earthquake in the Pacific Northwest are 100 percent, according to geologists. It's just a matter of "when, not if." The Cascadia subduction zone, where the Juan de Fuca tectonic plate meets the North American plate, lies only about 50 miles off the Pacific Northwest coast. Geologists believe the last time it ruptured was in 1700. Until the major quake in southcentral Alaska in 1964, that was the last time a magnitude-9 seismic event occurred in what are now the United States and Canada. The problem is that the 1700 earthquake wasn't just a one-off. The geological record suggests that about 40 such quakes have occurred over the past 10,000 years or so. Assuming a standard interval of 250 years or so, that means we're technically overdue. But just knowing that "the Big One" is coming isn't enough to prepare us for it. Here's our recommendation: Find an emergency preparedness event that you can attend sometime soon. Take heed of the advice that you hear from experts. Get ready. There is a sense of fatalism that can overtake us when we think about a major disaster happening in our communities. It's a helpless feeling. There is nothing any of us can do to head off a devastating nuclear exchange or a massive quake. Even lesser disasters, like wildfires of the sort that raged across California last fall or a train derailment and fire like the one near Mosier in 2016, hardly feel "small" when we imagine them happening in the place we live. But while we can't control what a reckless world leader does with his finger on the button, or the stresses on a submarine fault line, or many other forces that could lead to an emergency situation in our region, we can control what we do to respond. Experts predict that most or all significant infrastructure in western Oregon will suffer heavy damage from a magnitude-8 or greater earthquake off the coast. Cell towers will go down, electrical infrastructure will collapse and homes will be destroyed. The devastation will be widespread, from British Columbia to Northern California. Many of our bridges will likely crumble. Many of our water lines and sewer mains will be sheared apart. Emergency management officials already predict it could be weeks or even months before basic services like power and water are restored, and likely even longer before facilities like roads, bridges and hospitals are repaired. First responders would be overwhelmed. State leaders would likely look to the federal government and the military for major assistance. That's a dicey proposition in its own right. If there is a takeaway from the slow-motion humanitarian crisis that has unfolded across the island territories of Puerto Rico and the U.S. Virgin Islands following a direct hit by Hurricane Maria last fall, it's that unfortunately, the cavalry might not be coming. While the emergency responders, including soldiers, that the federal government has dispatched to Puerto Rico have done an admirable job, working with locals and delivering badly needed supplies, officials in the territory have repeatedly said the scope of the disaster demands a larger response. Just to the east, Virgin Islanders complain that they have been ignored almost altogether, with the bulk of attention in the region going to their more populous neighbor. For some residents and businesses in the territories, it's been months since they were able to turn on the lights. The point of these apocalyptic scenarios is not to keep you up at night. Rather, it's to encourage you to think about what you can do to be self-sufficient. If a major disaster strikes, you and your loved ones and neighbors are likely to end up fending for yourselves for at least a few days. Even something like a forest fire or trainwreck could lead to evacuations and force first responders to triage their time. Creature comforts could be lost, maybe for a long haul. All of this could happen to you and your family. You will have to be ready.